We take Steem to the Moon! Let's Get it Listed on Kucoin Exchange! In the post above @ankarlie covered "what's required to support "steem" to be enlisted on the Kucoin exchange". 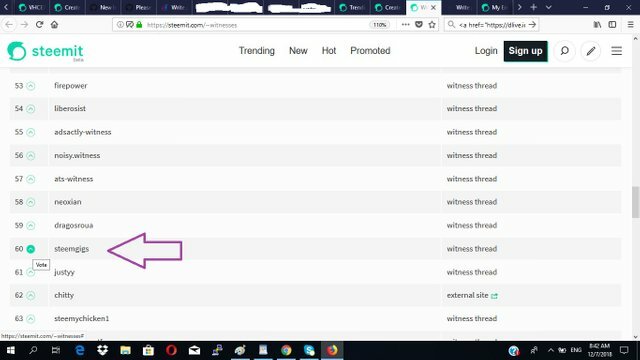 The above are the recent steemit accounts that i have helped with opening in the past few days, using a delegation from my witness account "steemgigs". Kindly look to welcome and support them. Where do these new ones start? Nowadays, it is quite easy. Simply start with an #introduceyourself post, which you can send to me in a comment below. Too, try to power up your first set of posts, so that you can gather some Steem Power. How Easy Is It To Have Your Friends etc Join Steem? If you have friends seeking to sign-up to steemit and especially those who have tried the conventional method for sign-up or those whom you have perceived "won't like the idea of waiting for long periods", you can look to have them join us on the discord server every weekend, let's verified them and open their steem accounts thereafter. There are many who know they can contact me directly, with regards to opening steem accounts for their friends. Please note, that i do a-lot, so there can be delays in the DMs. The best way to indicate prior interest and hasten the process, is to join us "live" every weekend on the SteemGigs discord talk shows. If you are a certified and verified ULOGGER, you can contact me directly to open steemit accounts for your friends and acquaintances. Over time, the number of verified and certified @uloggers will grow, for now however, you can checked "the followed" by @uloggers. Is Steem Promotion That Hard? In the past few days, i was able to invite a few people to join steem and it was quite easy. I simply showed them https://ulogs.org on my fone. To put these 3 people in their comfort zone, i showed them @uloggers from the Philippines as well as @uloggers who do #ulogging in Tagalog; then, i show them @ankarlie @mermaidvampire and Facebook groups filled with steemians who use Tagalog, who relish helping and directing new ones. These all happened in minutes. Telling them of #ulogging removed "barriers to entry". I found them in a mall; a department store where they practically are in "standing position" 12 hours, most of the days. They have the luxury of a fone while they stand and i tell you, "#ulogging is easier from these positions". Well, i started out with one person, "my attendant" and within minutes, i had "3 attendants", who were attentive. In general, one core aspect of what we do on the steemgigs discord talks each week is steem growth, also in the form of SIGN-UPS. But there is more...........Unlike used to be the case, it is now way much easier to promote steem as there are now many communities ready to help you. One such community is the SteemGigs discord community. You can bring your friends directly on there each weekend during the talks, for the sole reason of having us convince them "live" about steem's beauty and about joining steem. Too, with many more steem-based interfaces, telling people about steem is as easy identifying "the interest or comfort zone of the party or parties involved" and presenting them a steem-based app that they can thrive on. Overall, note that there isn't anyone who hasn't promoted steem. Your very presence in the ecosystem promotes steem. Your ulogs, blogs, vlogs etc rank in the search engines and may have brought someone in on steem organically, without your knowledge. I found steem organically via the search engines and joined the second time, i found it organically again as i was able to connect with the author of the second steemit post, on the second time. I am sure these people didn't know that i am "product" on their steem promotion. Growing steem is our role. Accolades or no accolades, we are bound to promote steem, for this way "we take steem to the moon". The keyest aspect of steem-promotion is "your own conviction about steem's beauty". To be all the more effective with steem-promotion, you may need to "climb the ladder first". How do you fell about steem? Is it bulls and bears for you in how you measure "steem's success or steem's potential success"? Well, for me "steem succeeded the very moment you perched on it". While i may consider the success of other blockchains using "bulls or bears"; for once, steem is the only blockchain where "no animals" involved, for in this case, it is YOU and me. If you found yourself here, on this post and i am able to reach you somehow, steem has long succeeded. Now, if my cores know this and my definition spells this, when i tell people to join steem, it is quite easier to have them join. Now, in cases where they don't join, "no qualms"; steem stays beautiful and a mark has been left. Like i mentioned earlier in this post, i didn't join steemit, the first time i found it. I joined at a later date and though later (as i missed out on "steem at 4 USD"), it mattered less as it wasn't any longer about "bulls or bears", for i perched on steem and from that very moment, i found moon. Look at my introductory post. Try to listen to sound and undertone of it and listen to the undertone of this post and you will notice this: "to me, #steemitwasbeautiful then and #steemitisbeautiful now". Yes, steem/steemit will always be beautiful; bulls or bears! Please considering powering-up some of your posts or next series of posts, if you haven't done much of that yet, to attain enough SP to allow you interact with the steem blockchain. Being that its been months already, i will review some of these accounts soon, to re-use SP for new sign-ups. For new accounts as mentioned at the onset of this post, consider powering up your first set of posts, so your can accrue enough Steem Power to be able to continue posting, commenting and curating on your own. You can also submit your #introduceyourself posts to me in the comments below as i look forward to assisting you reach some SP quick as well as inspire you. If it is a ULOG it can't really be empty because somewhere in the blankspace is "YOU". 19,916 Steemit Posts Across #ulog, Since Its Birth A Month Ago! Ulogs.org Is In Test Phase! We Can Now Simply Tell Friends To Join Steem To Try#ulogging!!! Join in and become a ULOGGER today. Start by getting your personalized ULOGGER GIF footer/header HERE!!! Then, please digest this post and this post and this post and like me, join in and become a Ulogger today. If you want to support an extra witness and you support mine "steemgigs", it will be really helpful. To vote my witness, simply visit https://steemit.com/~witnesses and type in "steemgigs" into the first search box for witnesses or simply click Here to do it on one click! If you want me to make witness voting decisions on your behalf, simply visit https://steemit.com/~witnesses and type in "surpassinggoogle" in the second box for proxy. Keep up the good work! Been enjoying many ulogs in the Pay It Forward Curation Contest. It's been fun reading teh everyday happening of people vs everyone trying to be so serious with their posts. Love the different ways you come up with to keep people engaged with the platform. You've had my witness vote for sometime now and have a few people that set me as proxy so you are gaining from them too. I must thank you, every time I saw your name in my feed I think to myself that all people especially in the Philippines are blessed for having them like you. 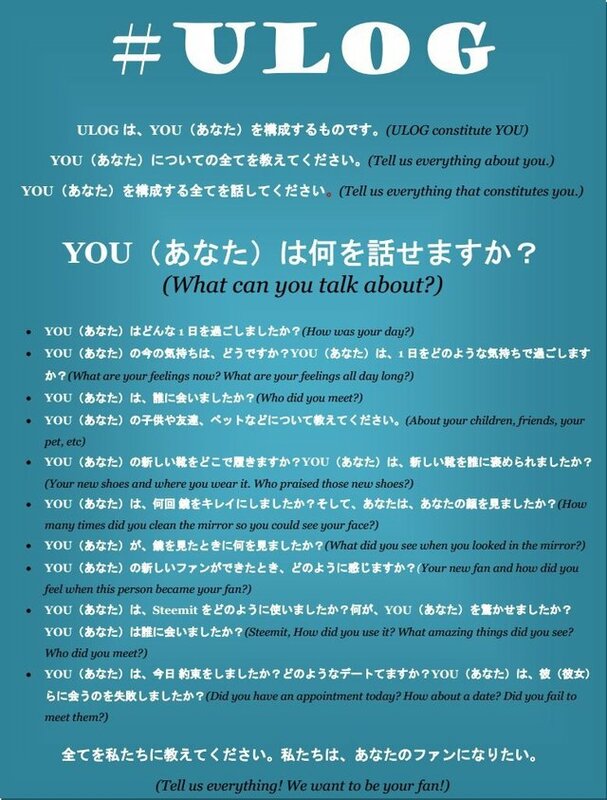 @tegoshei and I translated #ulog’s description into japanese. Thank you for @surpassinggoogle’s support. It is great fun reading the ulogs from our fellow uloggers. When I feel like reading something online these days, I search for the ulog tag and pick up posts to read. Steemit is beautiful, even more beautiful if you are here to bring it to the MOON! Keep steeming and ulogging! @Mermaidvampire, Terry even saw the beauty of Steemit as at when he made his introduction. I hope everyone in steemit sees this beauty the way Terry does, then we'll reach the moon today. Explaining how steem works and how to earn from it is quite difficult. In Nigeria, every time I start talking about it to people, they become very defensive and think it's a ponzi scheme before I've even said anything. That notwithstanding, I still make the effort and I've made minor successes in making people join the community. There's also the issue of sending their SMS code, steemit often takes a long time to send that SMS code, I don't know if its the same with every where else but it often makes people tired of the application process. Steemit is the future of Social media. Are you using excerpts from you video? the surfyogi one? Or is the your script from the talley's manual? No script, Not an excerpt! @Surpassinggoogle, you just painted #Steeemit so beautifully to newbies and intended users. I hope to become a certified #ulogger soonest. I just read your introductory post Terry and am awed at how much you saw even as a new steemian. Your projects didn't start today. They are beautifully grafted in the introduction post. Great inspiration for my newbies. Voting you as a witness is a great pleasure for me, making you my mentor again, has made me a bigger and better celebrity, and you my fan. And definitely going to give my best steem moon up to kucoin. Baba go oonnnn!!!! All the answers or solutions are in the post. How do I become a certified/verified #ulogger? I've tried to preach steem to my friends but the waiting period always gets to them, I'm happy to know they won't have to wait as long as I did. Thank you so much sir i know without you nothing is possible you have created simplified version of steemit called as @ulogs. "Steem's Success" is nothing but being with terry boy love you so much sir,feeling blessed with @ulogs. Thank you sir,i am so happy today hope this will be a little contribution for @ulogs. Sometimes i wonder why i still continue to write here even theearnibgs and tvesbdvalue are not really much , but theni realize it's really not just about $ , more to it is how you influenceor havetouched somebody through your blogs. Well done @surpassinggoogle, thanks for this information. It is really awesome. I have many friends that have created an account on steemit but still waiting for approval. It's quite long now. They keep disturbing me that it is taking time to create. Please I really need your help on this. You can join us on the weekend. Your making your way out, to help others to be in steemit. Keep up the good work Terryboy! Wow. Ulog is obviously doing much more than just expressing ourselves, but it is even encouraging more people and making them comfortable on the steem blockchain. I never thought of introducing steem with ulogs.org but I get it now. Many thanks to you @surpassinggoogle and everyone working with you. Together, we take steem to the moon. Really #ulog made me grow so fast... Thnks for giving us #ulog. Thanks for the information sir @surpassinggoogle. I am one of the minnows with less friends here that's why sometimes I'm thinking on quitting already. But good thing my cousin who is also a steemian keep pushing me to keep on steeming. She said that I should write more actively for me to be expose in this platform, that’s the reason why I am writing again. @surpassinggoogle, first of all i want to appreciate you because you are striving hard to bring new users to the Steem Economy and they are also getting effective information so that their journey will be easy for sure. I would be feeling fortunate if would get guidance from people like you initially. And yes, we all are promoters in a way and whatever we are posting it will be entered to search engines so if you are thinking that you are not an promoter then wake up, in a way our posts are talking behalf of us. And as you are brining newbies and they inturn getting an great platform like ULOG where they can grow with their effective content and in my opinion they will become future celebrities for sure. So, we are moving towards great economy and everyone who spreading effective engagement they all are true promoter of Steem and they are inturn supporting to push Steem towards great heights. Just wondering, how come you're not making more posts on steemit? I hope my laptop will be fixed soon.. so that I can use my discord account without having issues... Being an ulogger is a privilege that we can share our thoughts and our daily life experience without worries.. This will really help me Sir. I got a lot of information from you. Thank you sir Terry. I wish there were more Dolphin and Whales like you @surpassinggoogle You are interest in long-term growth that benefits everyone! Let's take the steem to the moon.. Thank you kuya Terry for the methods include in this post. This can really help us.. I just read your introduction post after reading this post. You touched many people's life and inspire them to get out of their comfort zone and express themselves in #ulog. I really appreciate for everything you do. I'm steemgigers from aceh sir, i'm support your project"STEEM TO THE MOON"
I want to join too,, SUCCESS for YOU! Mine is a new and fresh account eager to steem high my reputation 25 can relate that. Steemit is becoming harder for newbies by the day because their posts hardly get curated regardless of how useful the information they share may be and this is making most of them to give up. The people i invited are not finding it easy here, some have even stopped steeming saying that it's a waste of time. How can i encourage them to keep steeming that they will get noticed later on? You're quite right, the need to power up by these new accounts is quite necessary first you consider steemit as a priority before earning, steempower is a stake and gathering it means you're a believer in the community as well. It's so amazing to see these accounts I know soon some of them will be certified and prospective future whales too. My friend is very old account. I do not know about this. But now it has got information about it. Keep making steemit handsome as you are. Steemit is handsome because people like you working so tirelessly. Keep it up big bro. Note: I have some new recruits but the accounts are not yet verified/approved. Sir Terry, here you go again, this is also a means of steem promotion, your assistance off and online is nothing but the steem promotion. Will get in touch with you through the discord channel to have my acquittance to be up here through your help. But Sir my question is still fresh up here and is: how do one becomes a verified and certified ulogger. Please I learn in a process, thanks. Those are some pretty good resources for newbies @surpassinggoogle. Thank you very much for what you have been doing. Ulogs are a great idea. And I'm going to give updates about our formula student car through ulogs which will be interesting. Even I have started a question and answer session every 2 days to ask and answer some questions of this platform to help out newbies. And you are 1000% eligible to be witness and I have voted you. And even @socky is trying to get steem listed on various exchanges. You can check out his recent post. I have brought two of my friends here. But they left platform because they want to rich overnight and they don't want to work hard. So I ignored them. This very issue is one of the leading cause of my predicament in promoting steem. thanks for providing this alternative because many i have invited on steemit could not wait for such delay in getting their account being confirmed. With this alternative , i am strongly convinced that my promosteem will improved . How do you fell about steem? Is it bulls and bears for you in how you measure "steem's success or steem's potential success"? Keeper GOOD work...am a witness. In eveything I'm trying to do to support my new community here by posting and engaging, I'd somehow never considered helping Steem to thrive and flourish by introducing new people to the clan and supporting them to be Steemians too. Thank you for posting about this- and it is great to know that you are able to help people with their accounts set-up. Steemit it lifechanglingly, moonlandingly beautiful, and what better than to share this with more people? I will visit your newbies today and say hello. Dedicating My Entire Steem/Steemit Journey To My Mum.. Your mum must have been very pivotal and supportive. GOD bless her a big time. Youre my mentor here, to be sincere i havent met anyone so generous like you on the steem blockchain. Sir Terry Thank you so.much and so muc appreciated,from the bottom.of my heart. You help.us a lot and thank you for helping others too.We are here backing you Sir all the time to keep.the spirit alive though value is so low.Keep on steeming and bring it to.the moon. Steemgigs helping a lot for new ones who are unable to create account you have 1000 ways to help us @surpassinggoogle. Wow! So many things talked about that I didn't know when I joined, @surpassinggoogle keep on helping to grow this platform! Steemit is much better than Facebook if you understand it properly. It's not a waste of time. It has knowledge and money, anything you can ask for. Thanks for all the efforts in making the new Steemians more easier and faster in registering new accounts. Good job @surpassinggoogle and your team. Thanks so much @surpassinggoogle, you have made Steemit truly beautiful for me and I'm ready to reach the moon. Thank you for the opening an @empbot account, It was requested by me, I'm with you in the effort you are making to list @steem on @kucoin. I hope @kucoin will have a look at our request and they will list #steem on their exchange. After this, we will try to list #steem to #coinbase and like this our effort will work one day and we will take steem to the moon together. 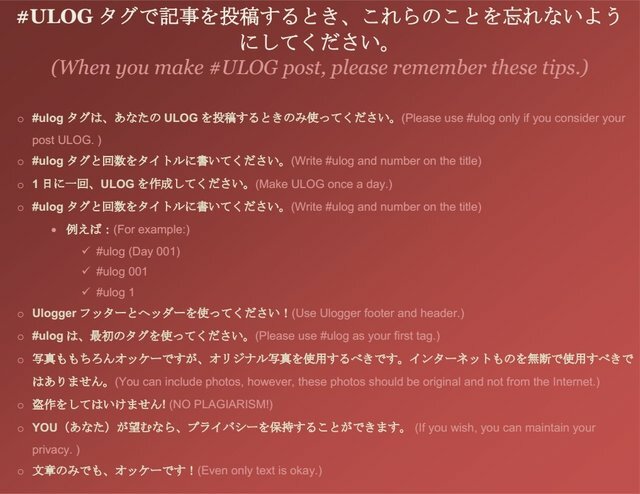 I haven't done much work on #ulogs but now I'm thinking to give me 365 days #ulog challenge in some days and I will write a #ulog daily, and to get the idea what to write about , I will go out and whatever I will find useful, I will share with my lovely steemit and #ulog community. Steemit is beautiful. And that beauty is the only thing i can see right now. I call @surpassinggoogle "The 3 in 1 man". Only me can understand. Steemit is a beautiful platform where we can express ourself freely, so it is so easy to promote this platform to anyone. I am grateful to you for helping me out with my journey here on Steemit up to this very day! I have made sure that I would grow here through your inspiration. You can already transfer the SP you shared with me to other aspiring Steemians! Thank you once again. Much love here. Thanks for your supports. Sometimes perfect photo can't be taken & we use loyalty free photos. I think you should take in your support also who post good contents with loyalty free photos. Hello sir i have some friends who are unable to create ids sir,and i really thank @deepthim for facebook promotion she is doing a great job sir,Thank you Terry boy,have a nice day. Thank you terryboy by reading this i got to know that how much you are helping the people.Really thanks a lot. I like your project sir,, success for you terry boy,,,! Its a really cool post including what to do & how to do in steemit. @surpassinggoogle. The post is content to invite in steemit. Thanks for the nice presentation. There are so many people who are helpless in steemit.so i will resteem may this beautiful post reach to some people. Mate, great work as always but could you warn your gang about a really serious and ingenius phishing scam thats caught out loads of people. Helo sir @surpassinggoogle this is a link to my introductory post, hope to do ulog next. Nice work you are doing here. We ALL have lives and ALL have stories that are important. Thank You for bringing this to the forefront so everyone knows we really are all equal. My life has been made richer with Ulogs in it. Thank You for that! After i have read your post ; I have decided to follow you and vote for your witness. actually I minimized my presence here on steemit platform but when I see something good as your efforts to help others, I must reply and follow - as a matter of fact i am following not more than 15 members and 5 of them are witness members. i voted in witness for you. I have not been able to participate in Ulogs but starting soon and also use it as a way of promoting Steemit in Uganda. I like the two images at the bottom that minutely drscribe what a ulog is and i will be joining soon.